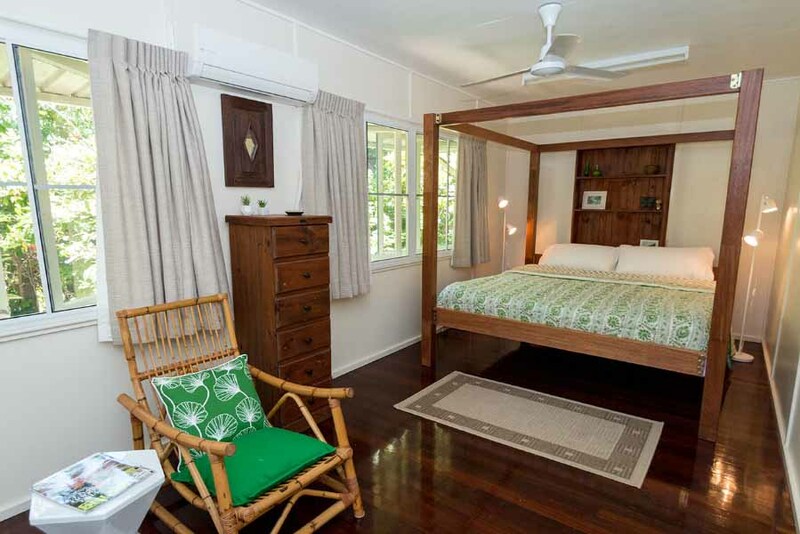 The Butterfly House has been beautifully decorated and appointed for a tropical island holiday. The main bedroom has a luxurious free standing bath and king size four post bed for a perfect romantic getaway. 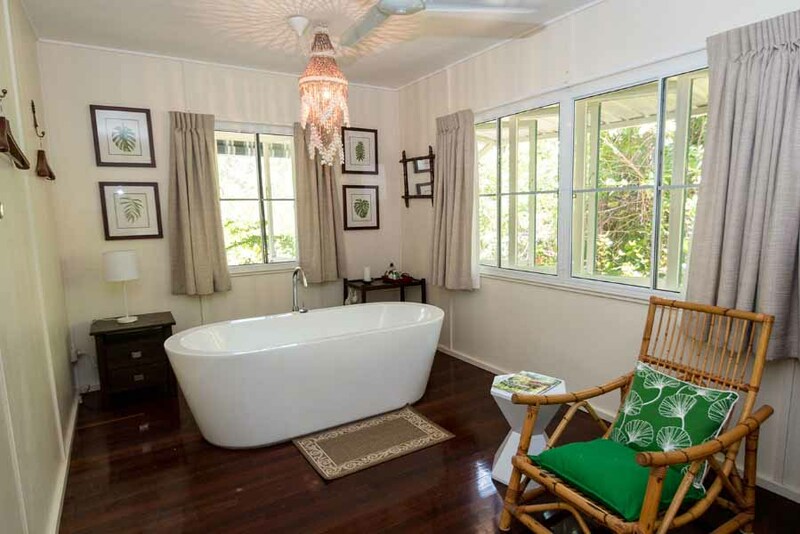 Fully air conditioned and lovely timber floors throughout plus a new bathroom. Room to relax with a second lounge area on lower level as well as covered outdoor area with BBQ and dining setting. Full laundry facilities. 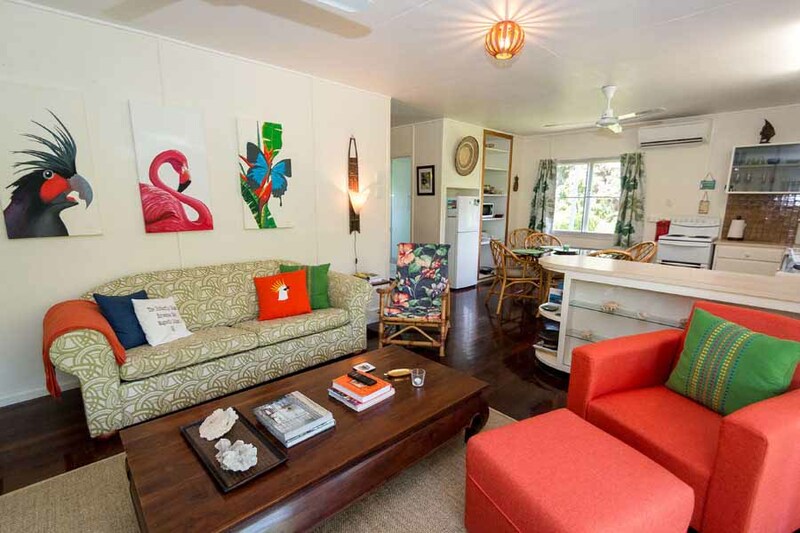 The home is in a wonderful position only 150 metres from the bus stop in a quiet street across from the Butterfly Forest Walk and a short stroll down to the beachfront. The home is fully fenced so you can bring along your four legged friend as well – we have supplied a comfy bed and water bowl.